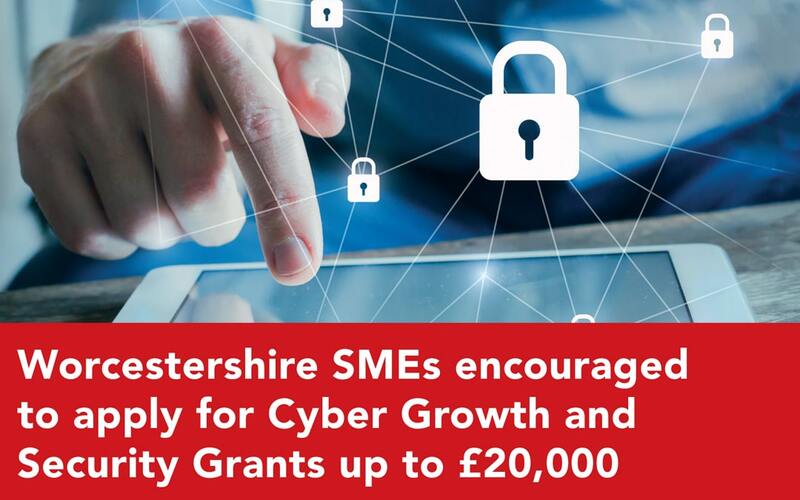 Funding is now available for Worcestershire’s growing cyber sector businesses and to support local SMEs, to become more cyber secure. Worcestershire aims to become a national centre of excellence for Cyber Security to further develop our cyber sector and maximise the cyber security of our local SME’s. Small and medium sized businesses across Worcestershire are being encouraged to apply for funding to either improve cyber security or to grow an existing cyber sector business. SMEs in the county can apply to the Be Cyber Secure Grant Fund, a Capital and Revenue based grant scheme, for match funded grants of up to £20,000 to help improve cyber security or grow their cyber sector business. The Be Cyber Secure programme, funded by European Regional Development Fund and supported by Worcestershire Councils, is currently offering two separate grant funds. Security Grants will help SMEs to improve their cyber security. This may include complying with GDPR, investing in networking equipment or gaining cyber security certification, such as Cyber Essentials or ISO 27001. Growth Grants will help cyber sector companies to grow their business through capital expenditure, marketing and product development. email wgarrad@worcestershire.gov.uk or visit this link.